Bollywood star Rani Mukerji returned to films with the film Hichki in which she was seen playing the role of a teacher. The actress is again ready to get back to the silver screen with the upcoming film Mardaani 2 in which she will be seen playing the role of a cop. The makers of the film have started filming for the flick on March 26, 2019. Rani’s performance in Hichki has left the audience and critics impressed and is now all set to impress in the role of a cop. The actress is surely a powerhouse of talent and has many times proved her skill with her performance in the films like No One Killed Jessica, Hichki, Mardaani and more. Mardaani 2 is the sequel to the 2014 film Mardaani which was directed by Pradeep Sarkar and produced by Aaditya Chopra. Rani in the earlier film had helped to bust a child-trafficking racket. The sequel will see Rani play the role of Superintendent of Police who locks horns with a 21 year old merciless boy. Rani was photographed on the first day of shoot and the actress surely looks promising. The film will mark the directorial debut of Gopi Puthran, who was the writer of the earlier film Mardaani. 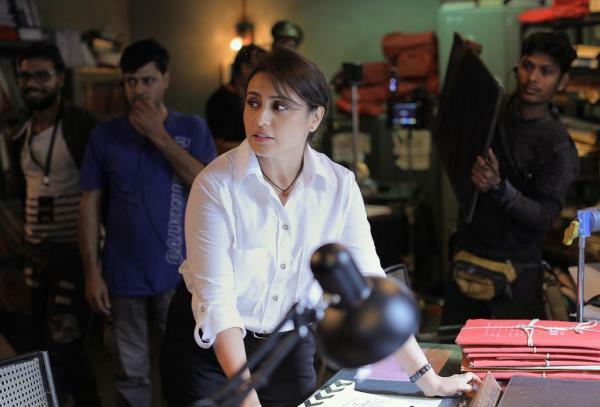 Mardaani 2 is expected to be released in theatres in 2019.